An Iranian official said the nuclear power plant Russia is building in Iran will be completed by September, but the Russian company said that was unrealistic. Mohamed Amiri, head of a group of Iranian nuclear and radiation safety agencies, said Iran hoped to start operations at the plant soon after it is finished in the port of Bushehr, ITAR-Tass and Interfax reported. "Construction will be completed in two months, and we should receive atomic fuel for the launch of the reactor in accordance with the contract with the Russian side," Amiri was quoted as saying by ITAR-Tass. Iran "expects the delivery of fuel from Russia for the Bushehr plant at any time," he was quoted as saying. 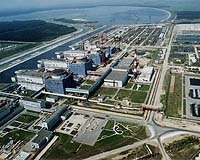 The nuclear plant Iran's first was to have been started up in September, but the US$1 billion (EUR740 million) project has been hit with repeated delays, most recently in a dispute between Moscow and Tehran over payment. Problems with payments from the Iranian side remain, said a spokeswoman for Atomstroiexport, the Russian company building the plant. She dismissed Amiri's reported comments. "Construction cannot be finished in September," spokeswoman Irina Yesipova said. She reiterated statements by top Russian nuclear industry officials, saying fuel would be shipped six months before the plant's startup. Another Iranian atomic official, Esmaeil Khalilpour, blamed Russian engineers for the delay. "At first, Russia wanted this equipment to be made abroad, but then decided to make it in Russia, which led to a delay," he was quoted by Interfax as saying. The United States and other Western nations have sought in the past to halt the project, saying it could help Iran acquire nuclear weapons. But Moscow has eased their concerns by reaching a deal under which Iran would return the spent fuel to Russia. Russian officials have said they will go ahead with the plant, pointing to Iran's right to peaceful nuclear energy program. But the delays have irritated Tehran, leading to accusations that Russia is quietly capitulating to Western pressure. The U.N. Security Council, meanwhile, has demanded Tehran halt its uranium enrichment program, and council members including Russia have begun discussing a U.S. proposal for new sanctions because of its refusal to stop.